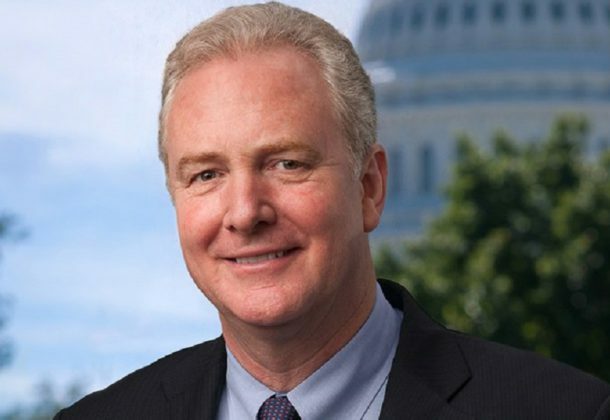 US Sen. Chris Van Hollen will deliver the keynote address at the College of Southern Maryland graduation ceremony Jan. 17. The college will recognize 541 candidates for 547 degrees and 250 certificates during its 20th Winter Commencement at the La Plata Campus. The graduates range in age from 18 to 64, with 37 percent from Charles County, 33 percent from St. Mary’s County, 23 percent from Calvert County, and the remainder from out of the area. Of the associate’s degree candidates, 15 percent will graduate with honors. Sen. Van Hollen was elected to the Senate in 2016. He began his time in public service in 1991 as a delegate in the Maryland state legislature and continued in the role of state senator for eight years before being elected to represent Maryland’s 8th District in 2002. He became known as a tenacious advocate for everyday Marylanders. While in the US House of Representatives, Van Hollen served as a member of the leadership and was elected by his colleagues to be the senior Democratic member of the House Budget Committee and protect interests like Social Security and Medicare. As US senator, Mr. Van Hollen is a member of the Appropriations Committee, where he works to provide resources for education, workforce development, and other critical national priorities. He is a graduate of Swarthmore College, the John F. Kennedy School of Public Policy at Harvard University, and Georgetown University Law Center where he attended night school. He and his wife, Katherine Wilkens, are the parents of three children — Anna, Nicholas, and Alexander. CSM’s winter commencement activities will begin with a Nursing Recognition Ceremony at 1 pm Jan. 17 in the Physical Education (PE) Center on the La Plata Campus with a reception immediately following on the upper level of the PE Center. The commencement ceremony will begin at 6 pm in the PE Center and tickets are required. Ticketholders are encouraged to arrive at least 30 minutes before the ceremony begins. Doors will open for guests at 5 pm Doors will close when the procession begins, and guests without tickets or arriving after the doors close may view the ceremony from the Fine Arts (FA) Center, which will carry a live streaming broadcast. A reception immediately following commencement will be in the Center for Business and Industry (BI), Chaney Enterprises Conference Room BI-113. In the event of inclement weather, a decision will be announced and posted on the college’s website if commencement activities will be held Jan. 18. Graduates and guests may also call the inclement weather hotline at 301-369-1999 or 800-650-4023. The safety of CSM students, guests, and employees is of utmost importance. CSM will conduct bag checks at commencement, and all individuals may be subject to a bag check before entry. CSM Public Safety officials encourage guests to leave large secondary bags, diaper bags, and backpacks in their vehicles or at home as these will be subject to the bag check process at the door. Due to commencement activities, the PE building at the La Plata Campus will be closed for fitness and aquatics activities Jan. 17.